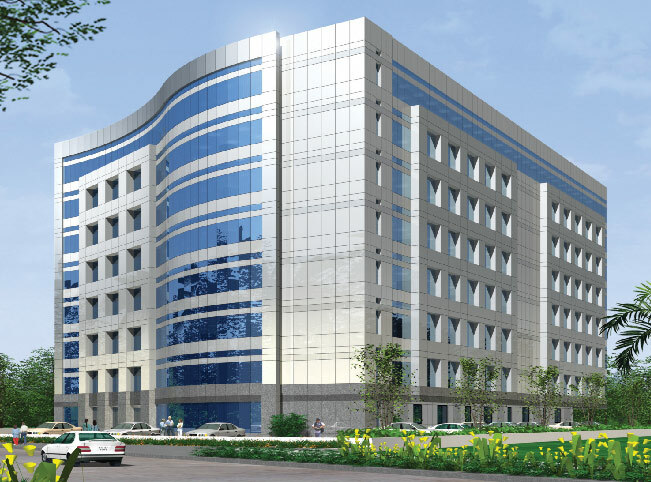 Right on the old Mahabalipuram road or the IT Expressway, the fast-emerging IT Corridor in the country – just 5 km. from TIDEL park and the MRTS Rail station – close to the National / International Air terminal and provides an Enchantingly-serene work atmosphere.1.29 Acre plot with 29,500 sqft. each floor make area totaling to 1,90,000 sqft. approx. Number of Car Parks available for Building- One car park for every 1000 sq.ft. Plot Area - 56192 sq.ft. Frontage of the Plot - 198 ft.
Super Built-up - 29500 sq.ft.